DAEMINE - Singer - Songwriter - Producer!! A soulful R&B vocalist . A stylist of song. His performance is powerful and eventful, leading you through a cadence of funk, dance, showtunes, motown and his impressionable smooth delivery of ballads. Daemine's show excites you with Good music & exciting times which make for an unforgettable evening . Daemine, not only a gifted singer and entertainer, he is also a prolific songwriter and producer. Forming his own singing group Paradise, in his home town of Philadelphia, he wrote the A side of the group's first record, on the Phil La of Soul label, which had local and tristate area success. This catapulted Daemine & the group into the cabaret and the hotel circuit. Daemine continues to write and record and has colaborated with various songwriters and producers. In 2004, Daemine released a long awaited CD, Just In Time, writing and coproducing most of the tracks with Sydney Alston of NuPop Entertainment. Daemine has recently finished writing songs for his follow up CD to be released . It will include the song Joy, recorded and produced by Ted Greenberg, a 2 time Grammy and award winning engineer. Daemine released his 1st Gospel cd " God's Sufficent Grace" which has charted on Cashbox Black Gospel List at # 6 in 2016. He continues to stay busy in the studio recording and producing various other artists. 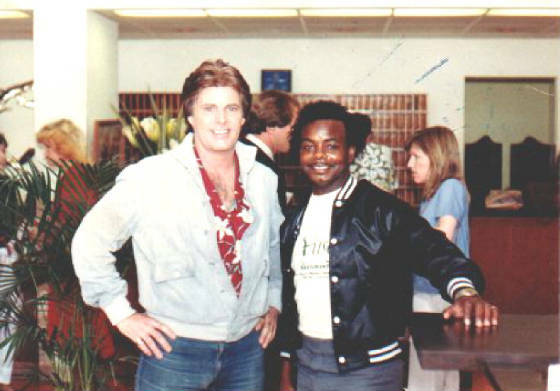 Daemine also performs with the legendary former lead singer of the Platters, Sonny Turner. Touring Internationally to Japan, Sinagapore , Manilla, and China, and through out the United States. He enjoys working and traveling with Hall Of Famed Sonny Turner, one of his mentors. Daemine has also Produced and Arranged Sonny Turner's latest Top Ten hit on Cashbox"s Beach Music , R&B Old School List of 2016 "Let's Go Way Back"
Daemine has opened and shared the stage with such artist's as the late Ricky Nelson, The Impressions and Gary Muledeer, Dee Dee sharp, and while working with the Ambassador's recording group, he shared the stage with Barbra Mason. 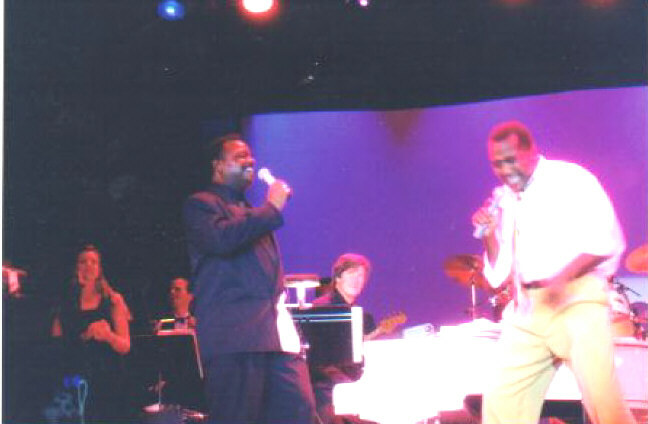 Working on RCCL Cruise line he also had the rare privilege to perform with Broadway, TV and Film Star Mr. Ben Vereen. Daemine was the first act to perform at the opening of Donald Trump's Taj Mahal in Atlantic City. He has taken his musical experience across the county to Sweden, Germany and Helsinki, Finland. Performing throughout the United States, he has performed at most prestigous venues including The Fountainbleau Hilton Hotel in Miami, FL and The Ritz Carlton in Naples, FL. In 1996, Daemine moved to Las Vegas and has been performing at various casinos on the strip. In 1999 he performed exclusively for Harrah's Entertainment at Harrah's and the Rio casino. Daemine still performs regularly in Las Vegas at Sam's Town Casino while still traveling to surrounding areas in Neveda, Arizona, and California. Daemine's passion is to creates new music and bring renewed excitement to his audience. Giving Thanks to the Most High, he is Blessed to continue his musical Journey bringing One Love and Joy, from heart to heart.